Every so often my iMac looses the Bluetooth mouse connection. The only way to resolve this (other than a reboot) is to switch Bluetooth off, wait about 10 seconds then switch it back on. This involves plugging-in a wired mouse, make the above happen, then unplug it. I use a wired keyboard which continues working without Bluetooth. 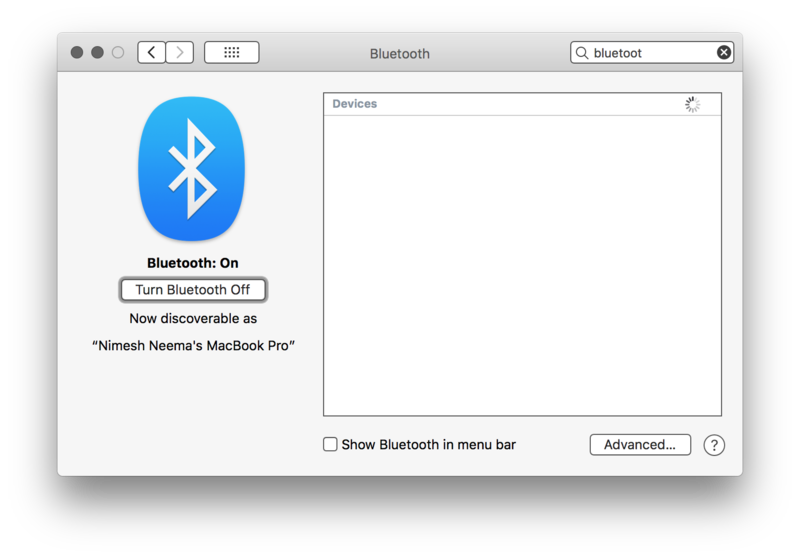 Is there a way I can set something up, or a keyboard shortcut, to switch off Bluetooth, wait, then switch it back on? Nimesh’s answer is very clever and requires no extra tools, so that may be what you want. However, there is a much easier way, if you are willing to spend a few minutes to download and install some apps/tools once in order to have a simpler way to turn Bluetooth off/on in the future. Unzip it, double-click the Install.command and enter your password, and it will be installed to /usr/local/bin/blueutil. After that, you just need a way to run it via the keyboard. For that, I highly recommend Alfred, although you could use LaunchBar instead. 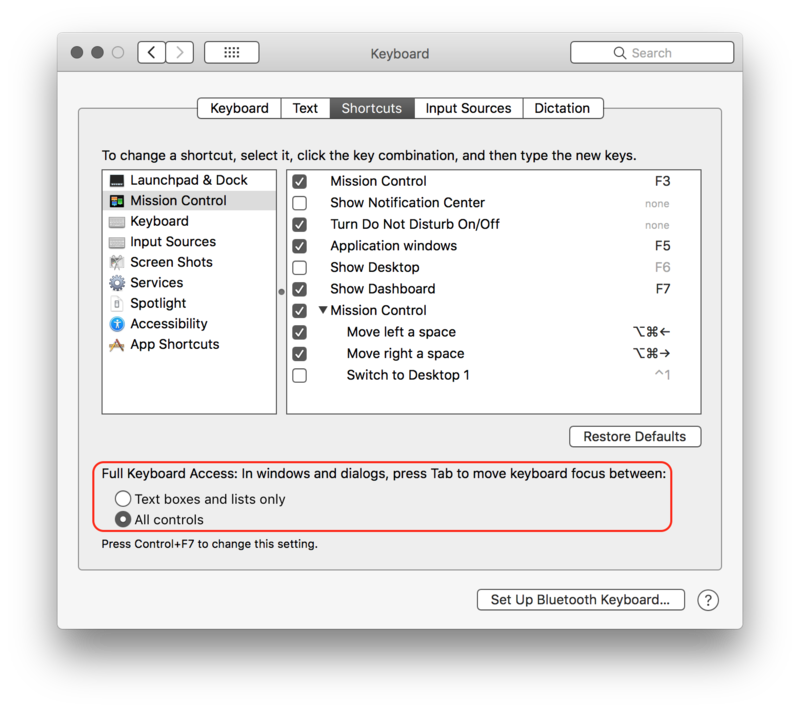 Assuming you use Alfred, get this Bluetooth toggle workflow and you can enable/disable Bluetooth with a few keystrokes. If you use Siri, you can simply ask it to turn Bluetooth on and off. Just press and hold Command + Space keys to invoke Siri. Now speak Turn Off Bluetooth or Turn Bluetooth Off. Wait for desired time, invoke Siri again and speak Turn On Bluetooth or Turn Bluetooth On to enable it again. There's a second, but a bit clumsy approach you can take, if you don't use Siri, or do not have an active Internet connection. (Using Siri requires an active Internet connection). Press Command + Space to open Spotlight. Enter System Preferences. 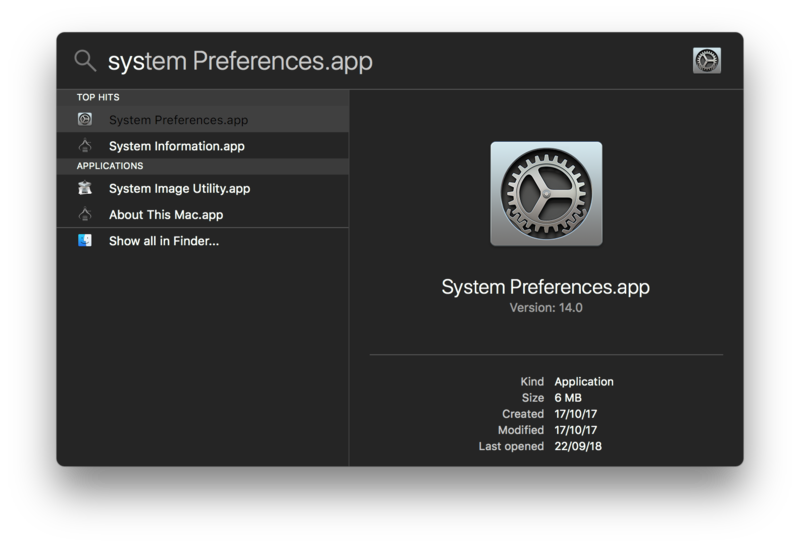 Select System Preferences.app and press Enter to launch it. Press Command + f (if required) to move focus to Search field. 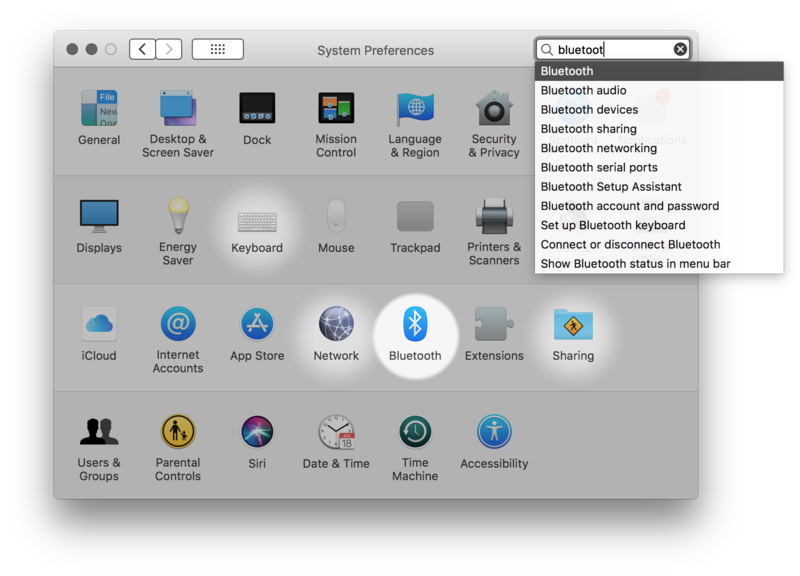 Enter Bluetooth and select the entry to open Bluetooth preference pane. Press Tab key to move focus to Turn Bluetooth Off button. Press Space or Enter key to turn Bluetooth off. Wait for some time, then press it again to turn Bluetooth back on. Using this approach, you can toggle Bluetooth without touching mouse. Not the answer you're looking for? Browse other questions tagged keyboard imac bluetooth mouse . How to toggle Target Display Mode on iMac using a non-mac wired keyboard? Bluetooth Assistant keeps popping up!